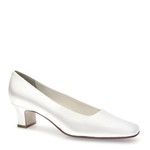 The classic pump is back with the dyeable white satin Lisa from Dyeables. 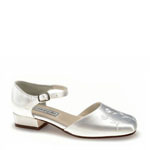 This closed toe pump with a 4 inch heel has a wonderful platform that makes this style surprisingly comfortable. 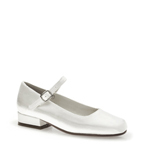 Perfect for any bride or bridemaid on that special day.